For everyone who wants to be Spock! This replica is loaded with lights and sound effects and it also has a removable hand scanner with light effects. 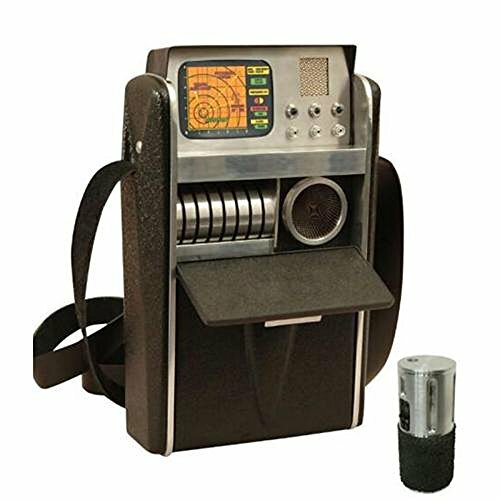 But seriously, no landing party is complete without a few tricorders to scan for danger, and the Star Trek Original Series Tricorder has everything you need. The top pops up with lights and sounds (straight from the TV show) with three buttons to activate the sound/light effects. The first door opens down to expose the "data disks" (the precursor to today's flash drives) and a rotating moire pattern. The second door opens to reveal a hidden compartment and a removable hand scanner (with its own light effects). Grab a Star Trek Original Series Tricorder today and, coupled with a Phaser and Communicator, you'll be ready for anything an alien planet can throw at you. MAY084717 Features: -Tricorder. 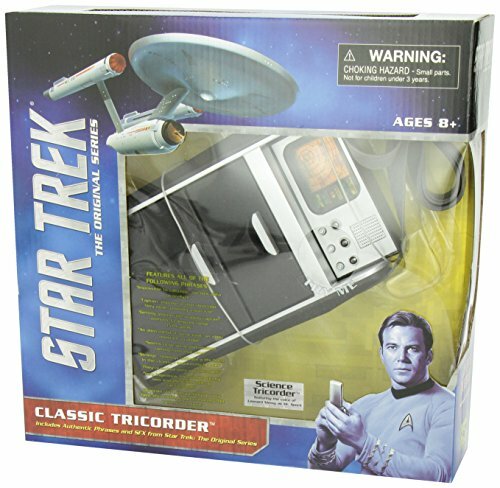 -Tricorder is the memorable portable computer / scanner carried by members of the Enterprise's landing parties. -Replica features authentic sounds from the original series. -Flip-open front that reveals speakers and dials. Product Type: -Object. Shape: -3D. 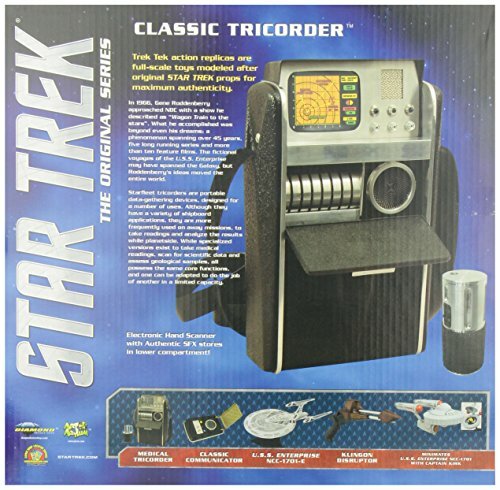 Generic Specifications: -Decades after its 1966 TV debut, star trek remains one of the most widely recognized pop culture franchises. Generic Dimensions: -11.9" H x 3.1" W x 11.6" D, 1.55 lbs. Dimensions: Overall Height - Top to Bottom: -11.9 Inches. Overall Width - Side to Side: -3.1 Inches. Overall Depth - Front to Back: -11.6 Inches. Overall Product Weight: -1.55 Pounds.